When seeing the audiologist for your hearing aid fitting, it’s comforting to know that you’re in good hands. Nevertheless, this can still be a very worrying situation, especially for a first-time hearing aid wearer. As such, you’ll want to be loaded with the right questions to ensure that you receive the very best service from your devices. Seek clarity in the following four aspects and you should find that the transitional phase becomes more comfortable than you ever thought possible. How should they be fitted each day? The fitting process allows the audiologist to check that the devices perform as they should once properly situated. However, knowing that everything works fine while you’re in the center is only a starting point. The ongoing comfort and performance will rely heavily on your ability to position the device in a correct fashion. Ask for a demonstration and don’t be afraid to repeat it until things are right. Depending on your device type and personal dexterity, you may wish to consider the extras needed to make daily life a little easier. Otherwise, you could be left with some very stressful situations. How often should they be worn at the start? 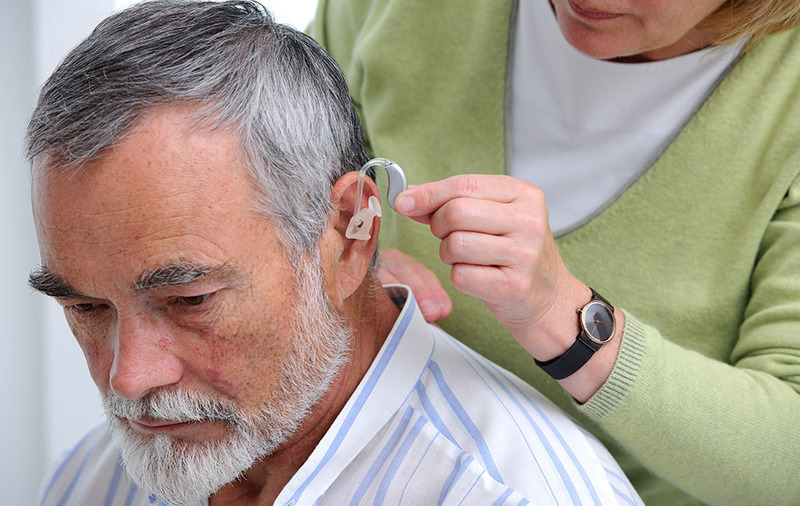 Hearing aids are designed to compensate for your hearing loss and enhance a wide range of daily tasks and activities. While this is sure to work wonders over the long haul, it’s not uncommon for the transitional phase to feel a little tough. As such, the audiologist may suggest gradually easing your way into wearing them by advising that you only wear them in certain scenarios at the start. Over a period of a few weeks, you can start to increase the frequency and duration of use until you are accustomed to wearing them at all times. This can help you deal with the appearance too. How do the various features work? Modern hearing technology has evolved at an incredibly rapid rate and there are more features and capabilities than ever before. Familiarizing yourself with those items can be a struggle, though, which is why you should ask for the audiologist’s help. From simple things like volume control to more advanced items, including linking the device to electronic items, the added insight is key. If you have paid for those features to be included, it would be a huge shame to let them go to waste. Besides, your ongoing happiness could be at stake. How should the device be maintained? A device that works perfectly today is one thing, but you need to ensure it works forever. The audiologist can tell you about cleaning routines, overnight storage and other ideas to help prevent damage. Moreover, this is your opportunity to discover how often the product should be put in for servicing. When your hearing aids are maintained in the right fashion, the performance is far better. You can also use this time to ask about the best repair services or how to get the device re-programmed should your hearing profile change over the coming months.